Moments ago I made the first large step towards accelerating our mortgage. I transferred $5,000 to our loan, dropping our balance to below $100,000 and taking over 2 years off the back end of the mortgage. I originally wanted to throw closer to $10,000 at the house, but fell short of that goal. Hey, even getting halfway there is still a cause for celebration! For 2016 and beyond I want to be hitting 5 digits on these yearly deposits in order to have the house paid off by my 35th birthday. Why Am I Paying Extra On The House? Mathematically I could get a better ROI by investing the money in index funds. My mortgage is at 4.25% and the historic average rate of return for stock index funds is around 8%. I also already have a major chunk of my net worth in home equity and my house payment is an extremely small portion of our income at approx. 10%. With all of these factors against paying extra on the house, why am I doing it? 1. Reducing debt reduces risk: We don’t know what the future will hold. My mortgage amortization lasts until the end of 2041. The further out in time you project the less accurate the projections will be. 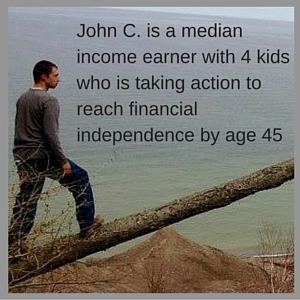 Most likely I will be extremely financially secure and the mortgage payment would be a rounding error in our bank accounts if I kept it around….BUT I have seen many people who are in their 50’s who struggle to make their mortgage payments and have told me “If only I had paid off my house when I was younger.” That has some power to it. Income doesn’t always stay the same or increase. It is entirely possible that at any point numerous factors could cause our income to drop substantially. While I am having good years it makes sense to reduce my risk for future years. 2. A paid off house improves cash flow: Currently about 10% of my income goes towards the house payment. This year I put another 12% of my income towards paying it off early, and next year will be even more. Once the house is paid off it is done and all of that income comes back to spend on other things. One of the major question mark expenses in the future is paying for college for four kids. Having the house paid off and freeing up this cash flow before the first kid starts college will be a big help. 3. I’m already investing heavily in stocks: We are already contributing over 25% of our income towards our HSA and IRA accounts and will be on track to max those accounts in 2016. If we were not heavily investing in the stock market I would not be allocating as much cash towards paying off the house. 4. It feels right: Sometimes you just want something and the math takes a backseat. I like the idea of not having a mortgage. I want to know that the bulk of the largest expense in my life is done. I want the feeling that I truly own the ground beneath my feet and that even if I fall on lean months I don’t have to worry that I could lose the house. This year I spent a good deal of time revamping my house payment spreadsheet. 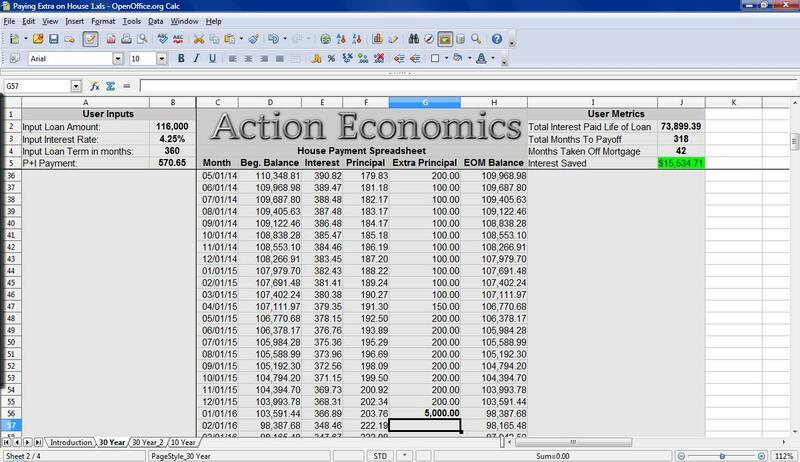 The final product is the Action Economics House Payment Spreadsheet Version 3.0. In previous versions the main utility was to calculate an amortization table and input extra payments. Overall it was fairly useful, but the new version has a much greater utility. As you change figures in the extra payments column a user outputs section that is locked to the top of the spreadsheet calculates how much money in interest has been saved and how much time you take off your mortgage with each entry. For example before making this $5,000 payment the total of all the extra payments I have made so far had reduced my mortgage by 18 months and saved me $7,135 in interest. Once I made this $5,000 payment the mortgage dropped to having 42 months removed from the amortization and my interest saved more than doubled to $15,534. Seeing this information update provides a huge motivational boost towards continuing to pay off the house, which is needed because without tracking it in this manner there is no reward until the entire mortgage is taken off, which will take several years. Currently I am paying an extra $200 per month automatically and will continue to make a large deposit at the end of every year. When Will Paying Extra On The House Pay Off? In all reality it is paying off now by giving me the peace of mind of knowing I won’t have to pay a mortgage in later years. As you saw above, my total months saved thus far is at 42. This means my efforts so far have moved my paid off date up 3 and a half years. As time goes on the months saved will increase. Another way that paying extra on the house is paying me off right now is in the increase in equity. Whenever extra principal payments are made the amortization speeds up and the mixture of principal and interest tips in my favor. last month I paid $368 in interest and $202 in principal. Next month I will be paying 348 in interest and $222 in principal. This is a $20 per month increase in net worth without having to increase my payments any more. Once again as time goes on this will continue to tip in my favor. Of course the BIG payoff is when the mortgage itself is gone. I am currently aiming to achieve this by the end of May 2021 when I turn 35. Once again, even if I miss the goal by a year or two, so what? It isn’t all or nothing. If it takes me to May of 2023 to pay off my house I still did it 18 years ahead of schedule and saved a ton of interest! What are your thoughts about paying extra on the house? Is it worth it, even though the return you are locking in is most likely significantly lower than stock market returns? 30 Responses to "Paying Extra On The House"
Congrats on the extra payment. I’ve been thinking about putting a spreadsheet together over the holiday break to take a look at the mortgage and how it would change if I switch to bi-monthly payments vs monthly or adding a small amount extra per payment vs making a lump extra payment each year. For me, clearing out some old credit card debt is top priority, but I’ll be looking at loans next. Sounds like a good plan, credit card debt is certainly a bigger priority than mortgage debt, good luck! I’ve had the same questions for myself with some student loans. I had a couple loans at 3%, and math says I should pay the minimum and invest the rest – but they’re so damn annoying. I hate having them, so I’ve been paying them off more aggressively than maybe I should from a math standpoint. But it’s all not about numbers, it’s about what makes you happy. I’m pretty debt adverse from a personal finance perspective so paying them off makes me feel better. I only have one loan left ($4k) and I’ll definitely pay that puppy off in 2016 and be debt free! Nice work applying $5k to the mortgage! Awesome…The final stretch is the best…I like to ask myself the Dave Ramsey reversal when it comes to debt management ie: “if I had a paid off house would I then go and borrow money on it to invest in stocks?” Nope, sure wouldn’t! I paid off my trailer first, interest rate was 11.5% so just made sense. Then paid off my land interest rate of 9%. As you can tell that was many years ago. I couldn’t afford to build my house until the housing market crashed. I finally built in 2009. I did early retirement at 58 in order to be a caregiver for my parents. I wish I had been able to pay off my mortgage early but had to retire instead. Paying off your mortgage early is a very smart thing to do. It gives you peace of mind and provides a cushion for any financial setbacks. A very wise decision on your part. As they say, they’ve never repo’d a paid off house. Congrats! Sometimes I think you just have to say screw the math and do whatever is going to help you sleep best at night. We are currently aggressively paying down our student loans even though they are locked at 2.5% and 3.5%. Our friends seem to think we’d be better off investing, but we don’t care. We are soooo looking forward to the day that debt is gone!!! It seems the more my friends think I am doing something crazy, the closer I am to a good path lol. I have a buddy who recently told me he only pays the minimum on his student loans (he’s in his mid thirties). Because of the relatively low interest rates he doesn’t see it as a high priority. I couldn’t imagine letting student loans drag on for as long as a house payment. I completely agree with your reasons for paying off your mortgage early. I paid mine off a year ago and couldn’t be happier with my decision. It’s so hard to feel like you’re getting ahead with debt hanging over your head. It’s also reassuring to know that I’ll always have a place to live, regardless of my employment status or what happens with the economy. Good luck with your journey and keep up the great work! We are on track to pay off our mortgage around my 31st birthday in summer 2016. We’ve decided to do so for very similar reasons. We are already investing in the stock market, and just want to own our home since it’s within reach. We’ll feel more free to invest aggressively in retirement and kids’ college, and maybe travel or be more generous, once we don’t owe anyone money. Awesome! I’d love to see the stats on how many people in their early 30s have a paid off home. Most people in our age group are just now starting to buy houses, Way to go, you’re almost there! I’m a huge fan of extra mortgage payments. I look at paying extra as I do any other investment opportunity. The $5,000 you just invested in your mortgage will earn a guaranteed, risk-free, pre-tax return of 4.25% annually until your mortgage is paid off. That sort of investment has a place in nearly every homeowner’s portfolio, in my opinion. I also really like that you recognize that debt = risk. That’s rare. Everyone thinks nothing will go wrong in their lives, until it does. An unexpected job loss, an illness or injury that causes long-term disability, a major uninsured health expense–any of these and suddenly a “cheap” mortgage is a big burden. Also, as many learned since the 2008 meltdown, when you have a mortgage you’re running the risk of being effectively trapped in your home if house values crash and you sink deep underwater. We paid off our 15-year mortgage about 7 years early–best financial decision we ever made! Yup a risk free return of 4.25% is pretty darn good, especially since I don’t get any benefit from the mortgage deduction. My only concern about paying it off early is how lopsided my home equity is as a percent of total net worth, which is currently well over 50% and will be the case until it is paid off, but then every year it will reduce as a percent of total net worth substantially. Congrats on knocking your mortgage out is 7 years, very cool! Looks like we are on a similar path to paying off the mortgage. We have a plan to pay off the mortgage over a 7 year 3 month period. We are officially 1 year in. Like you our mortgage payment makes up less than 10% of our gross income. I look at a mortgage paid in full like that of a bond allocation of even a dividend paying stock. Probably more so like a dividend paying stock. Whats the difference of investing $370K and receiving $20K in dividends or having a fully paid mortgage that saves you $20K a year because of no mortgage payments. To me they are synthetically equivalent assets with 5.4% yields. Yes, one is more liquid then the other, but like most things in this life, there are trade offs. Both have an opportunity for potential appreciation. Yeah, I think we are at about the same spot, originally my goal was 7 years from now (2022), but with increases in pay I adjusted the goal forward. I like to look at how people throughout history have purchased homes. The concept of 15 year and especially 30 year mortgages, and even the concept of fixed rate mortgages are relatively new and relatively unique to the US. Good luck on your journey! I’m not paying down early. In fact, a recent divorce forced me to refinance my house which was 2 years away from being paid off. I went from 2 years left on a 15-year mortgage, to a brand new 30-year mortgage. In addition, I did a 80% LTV cash-out refi, just to get more cash than necessary to settle the divorce equalization. Why? At 3.25% interest rate, less 28% back in taxes, is 2.34%. The yield on VTSAX/VTI is 2.21% (less taxes, but dividend rate, not ordinary income, so only a 15% hit, leaving 1.88%). That’s nearly guaranteed (barring changes to the yield), not to mention any capital appreciation. But yes, it could also be capital depreciation. I could pay off my mortgage tomorrow, if I wished, as I have more than double the mortgage amount in my non-retirement brokerage account. Thanks to a decent savings rate due to reasonable expenses from a moderate lifestyle, despite 26% of my paycheck going to support payments (50/50 placement, one child) and 50% of all of my assets going to my ex-wife, I’ve been able to recover all that I lost. That is, in 3 years, I’ve doubled my net worth, including my extra-large mortgage. In my case, I’m happy with my choice to not pay down the mortgage early. YMMV. Divorces are extremely costly, I certainly hope to avoid it. Like you said the hardest part is coming up with liquidity to split assets. Amazing job on active trading this year!, A risky move but sounds like it paid off well. I currently am on pace to have our house paid off in 5 years and will be 37. I hear all the time that I should not apply any extra to my loan because the rate is so low. However, I completely agree with what you said “Sometimes you just want something and the math takes a backseat”. Thanks for writing this article and giving me the motivation to keep on moving to a debt free lifestyle. It’s great to see other 30 somethings on the same road as I am!! All those people who say you shouldn’t do it are going to be just a bit jealous when you tell them you don’t have a house payment anymore. Very cool Brett. I haven’t decided whether we want to pay off our mortgage yet. We have a 15 yr mortgage, 2 years in, 13 years to go. I’m going to focus on building our investments first. We are still young at 25. So even if we didn’t pay it off early we would be mortgage free by our 30s. There’s no plan to sell the house. It could serve as a potential rental house if we decide to move. It’s in a very good location. Being on a 15 year certainly changes the math and makes having a mortgage much more attractive, 38 with a paid off house will be a great position to be in! I am in no hurry to pay off my primary residence at this time. I have been focusing on building wealth and multiple sources of income before I embark on having a paid for home. If I was to do things over I would have acquired multiple income sources first and then acquired my personal residence. What is done is done and at some point it would be nice to have a paid for home without the monthly bank payment. I personally go for the math and just do investing with a mortgage at only 3.25%, but if your already investing heavily there’s nothing wrong with a balanced approach that helps you sleep at night. That’s a great rate, is that on a 30 YR or 15YR? I’m with you on paying off the mortgage early and let the math take a backseat. I switched my mortgage payment to bi-weekly a couple of months ago, and topped each payment with extra $$ toward principals (int rate at 3.5%). If i keep at this pace, my 30 year mortgage (27 now) will be paid off 10 years from now (or even less). The withdraws are automatic and the pay down is accelerated than just paying monthly with extra principals. This also saves me some internal struggles on whether or not I should put any additional earnings into paying down the mortgage or put toward investments. Now that I have the bi-weekly payment set up, any additional earnings would be allocated to investments/savings. I’m also maxing out on my 401K and Roth IRA, a good % of my take home pay also goes into savings and brokerage account. A lot can happen in the next 10 years, but by having a plan and knowing I can be mortgage free within 10 years (and reaching financial independence someday), it makes all the sacrifices the more rewarding. I might look into doing the bi-weekly thing, it essentially adds an extra payment throughout the year (26 half payments = 13 whole payments), sounds like you have a great plan! When we had a house we paid an extra $500 a month to pay it off in 15 years. We ended up selling the house and now rent (we live in a foreign country at the moment). We are currently saving up to by a house cash and are too scared to invest much of it in the stock market :-/ ! What a great net worth increase for 2015 keep up the good work! Paying cash straight up for a house has to be an amazing feeling, good luck! Sounds like a great plan John! Tackle that mortgage! You’ll never regret it! I paid off my mortgage last year, and man this year has been amazing. 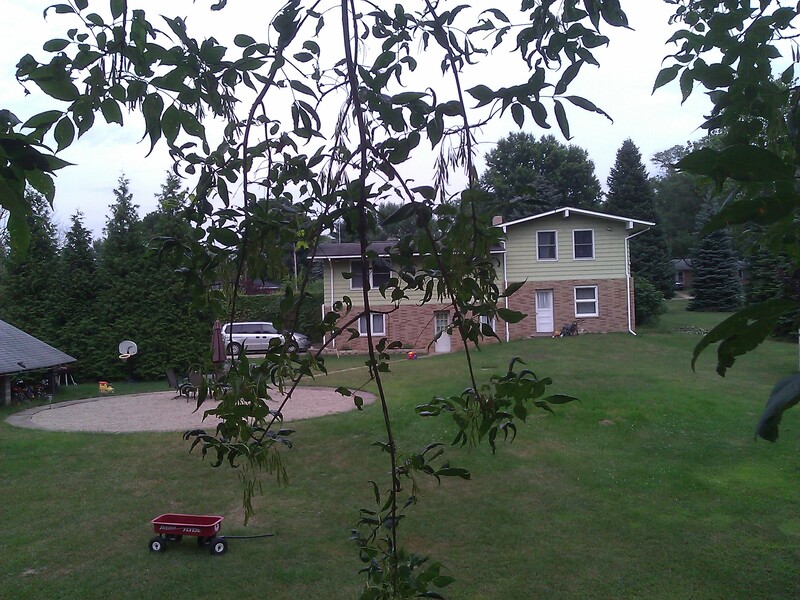 Since our bills are practically nothing now, we were able to save up enough to buy an investment property with cash! Like I said, you won’t regret the payoff. Best of luck to you! That’s awesome, I can’t wait to knock it out!